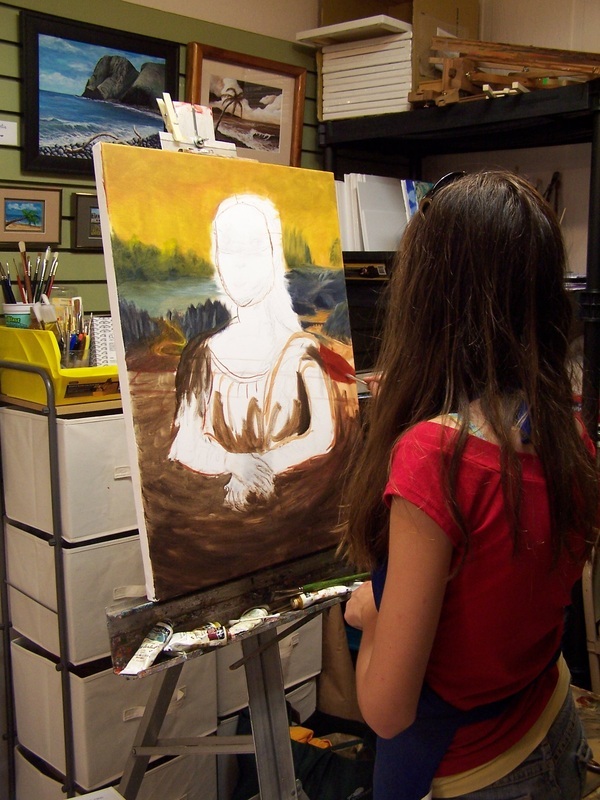 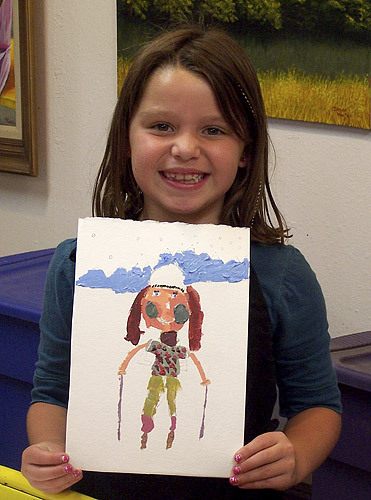 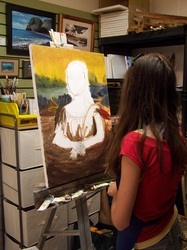 Sophie started coming to Art E Studio this past winter. 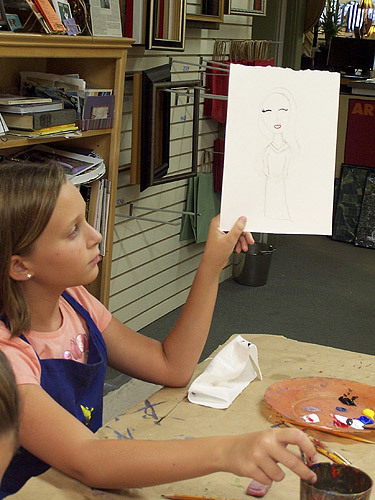 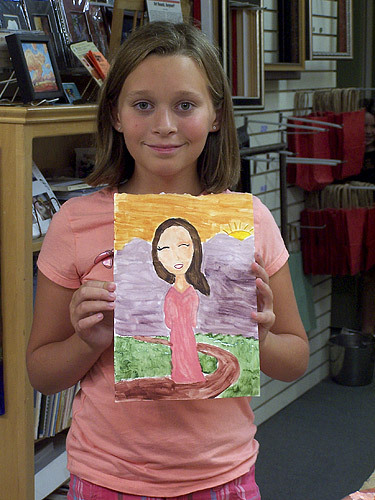 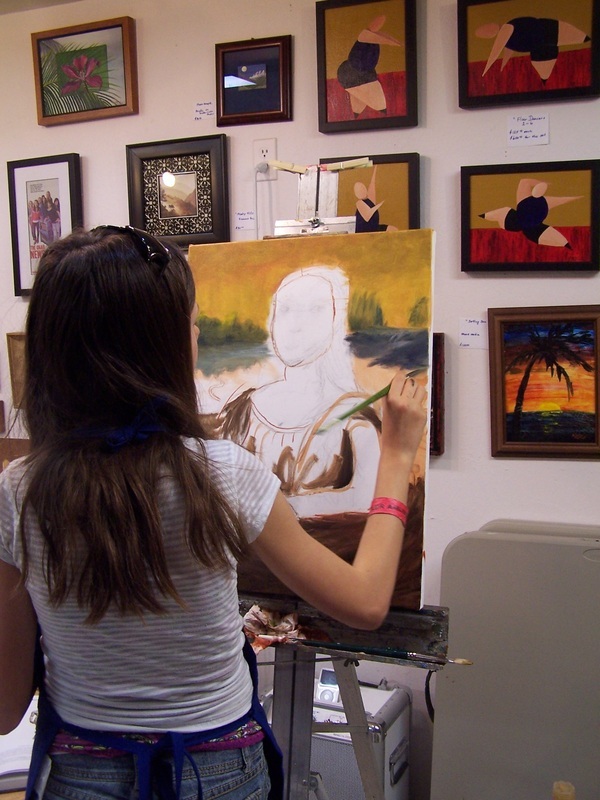 She has completed 5 paintings and has done a fantastic job. 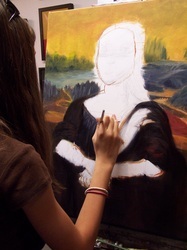 This featured painting is of Mona Liza. 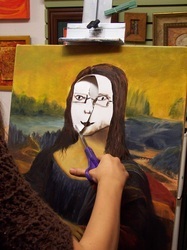 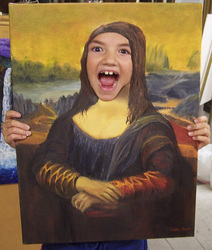 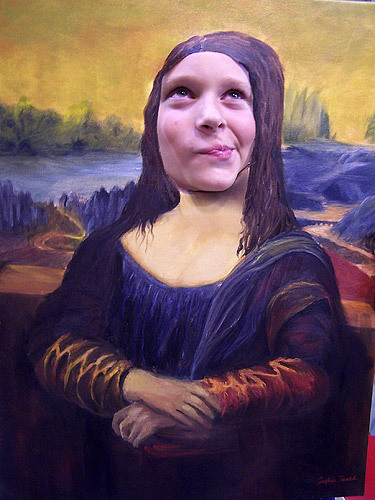 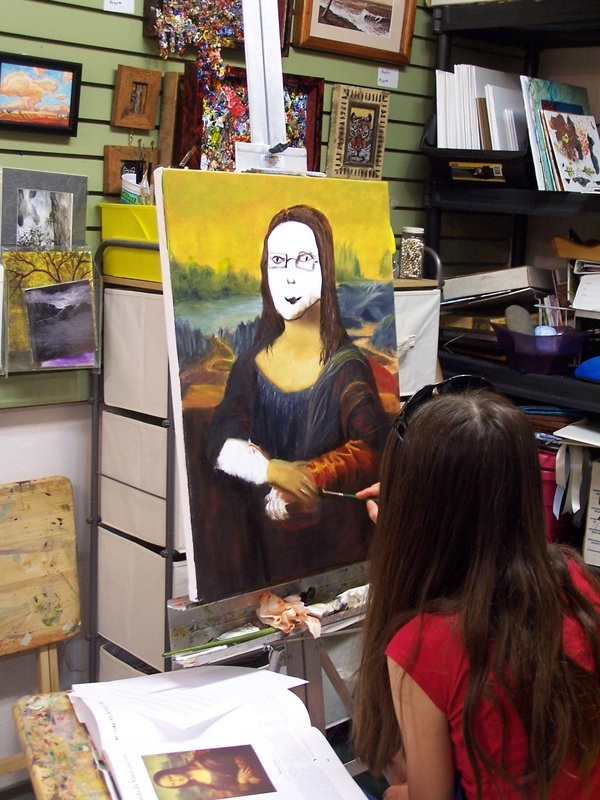 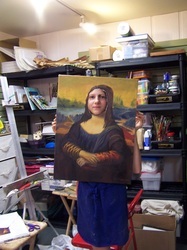 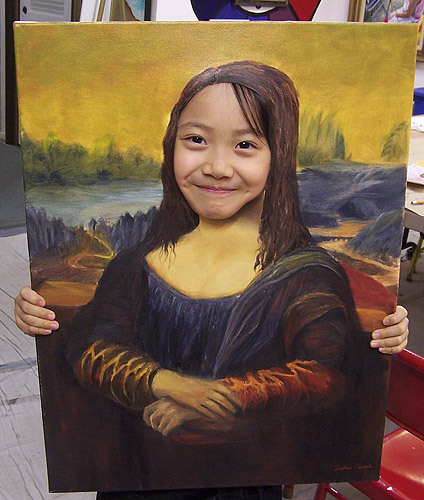 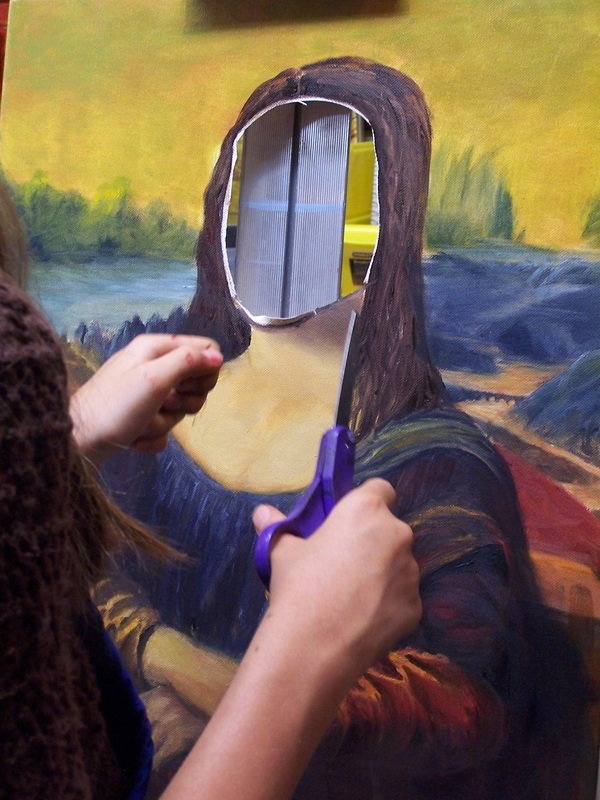 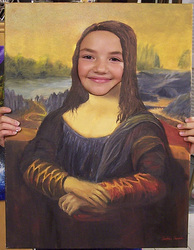 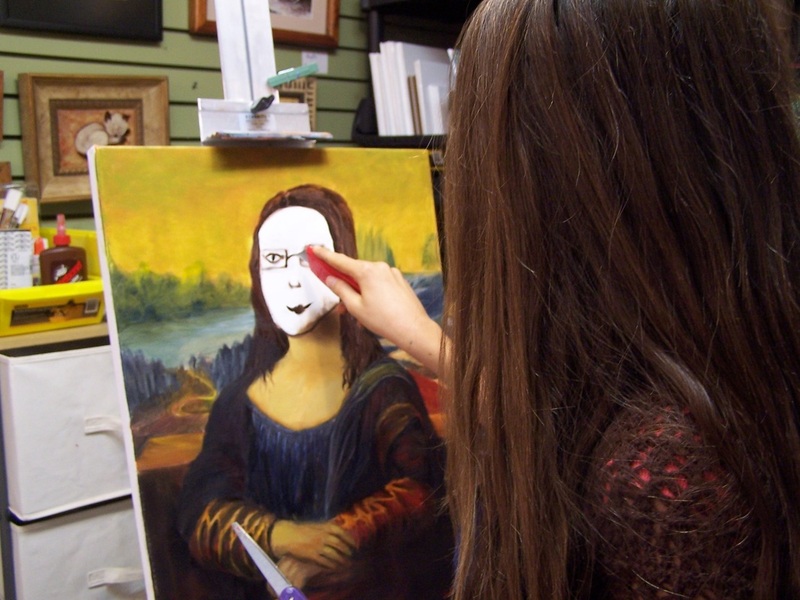 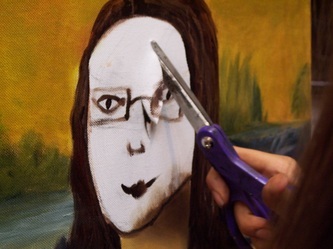 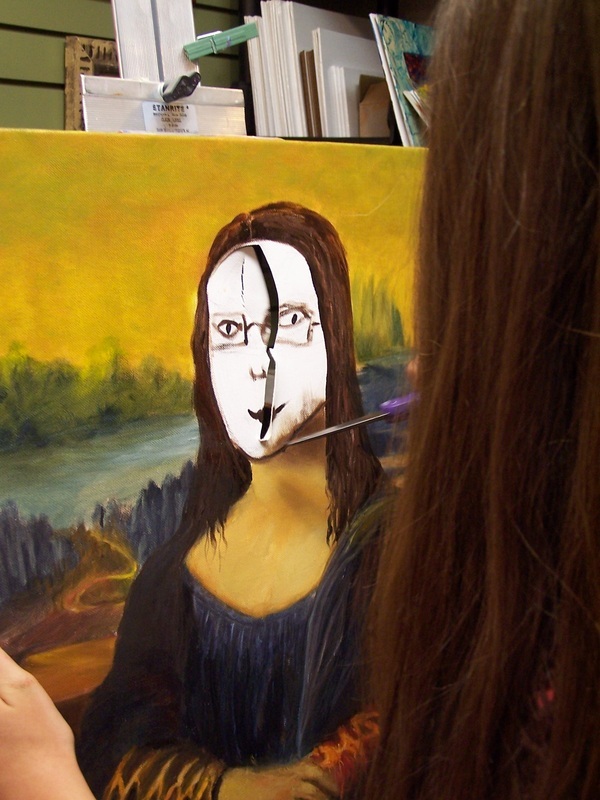 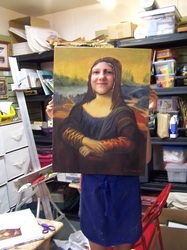 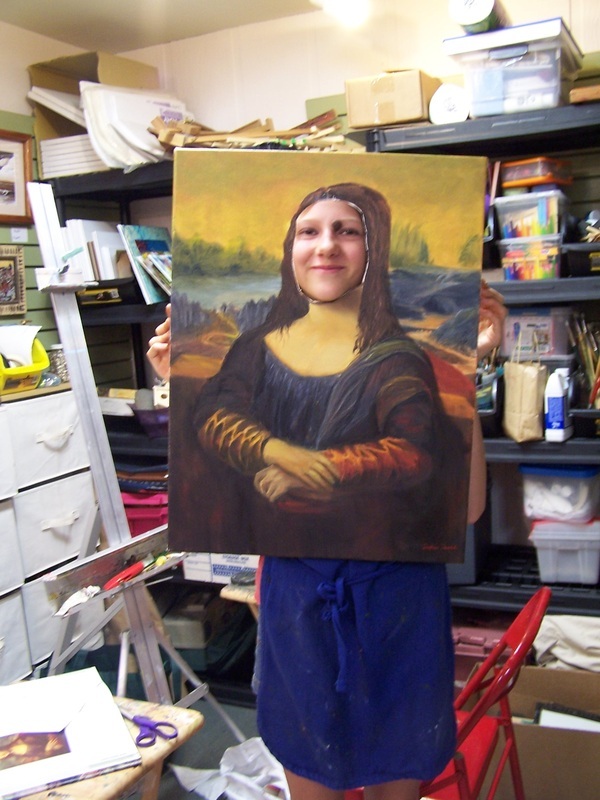 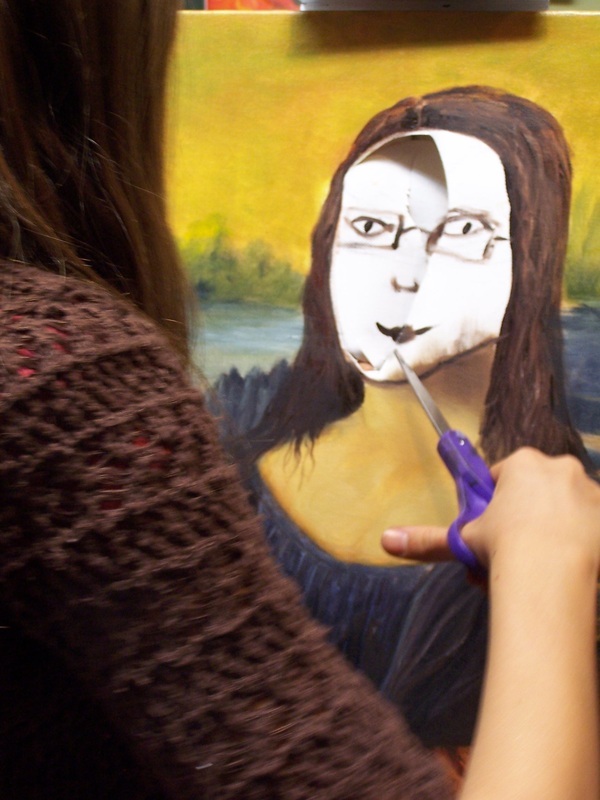 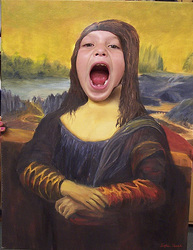 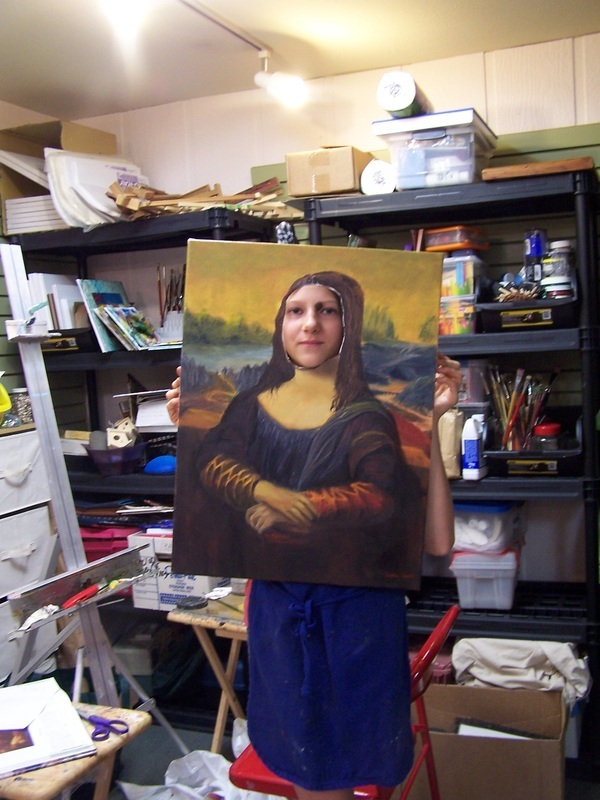 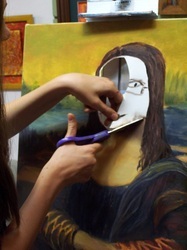 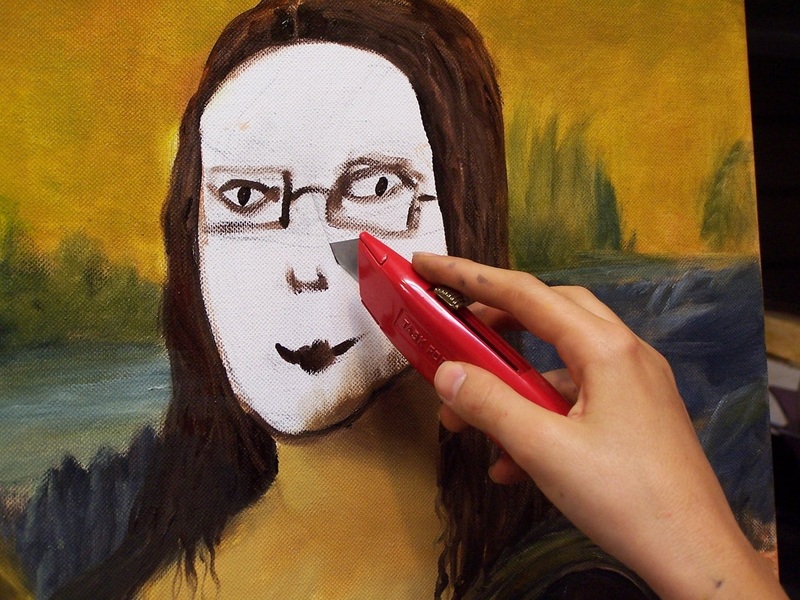 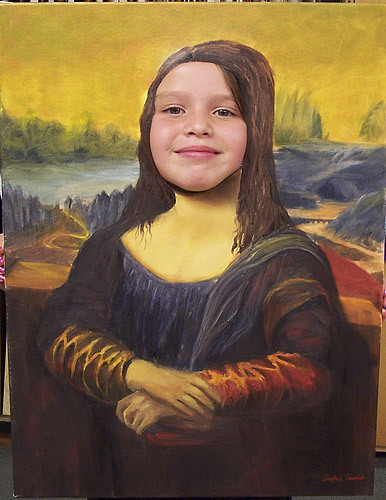 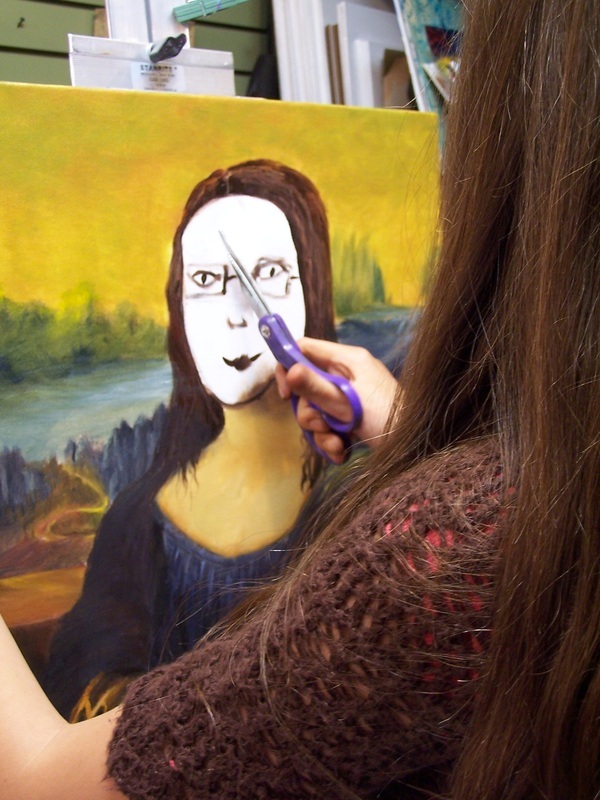 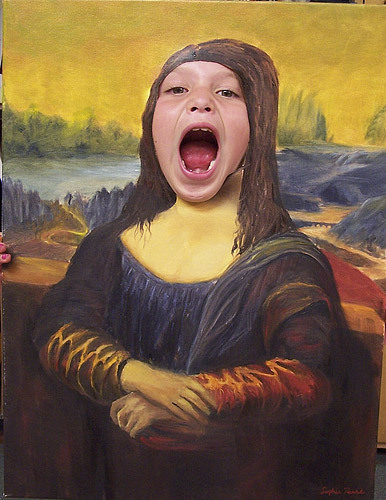 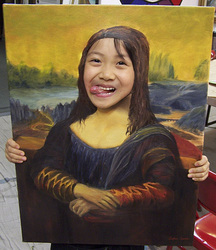 Sophie and her friends are making a video and needed a Mona Liza painting as a prop but this one had to have the face cut out so her friend could put her face in instead. Sophie worked hard on creating this painting. 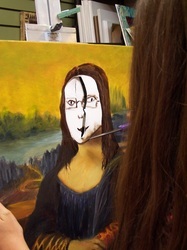 Her attention to detail really paid off and she learned a lot. 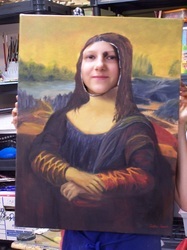 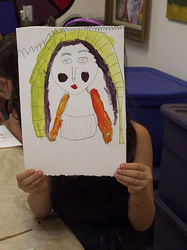 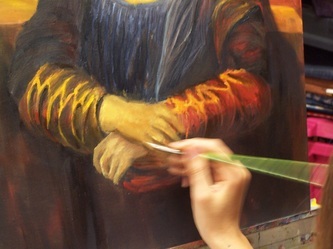 My younger students got into the act by painting Mona Liza paintings too. 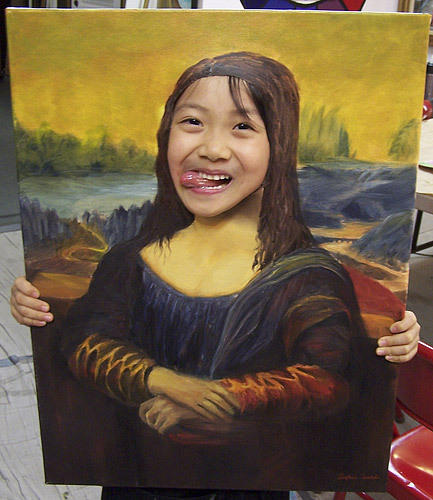 They all came up with some very clever versions of the worlds most famous painting. 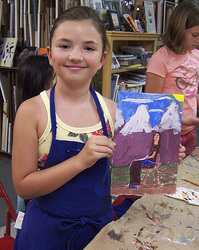 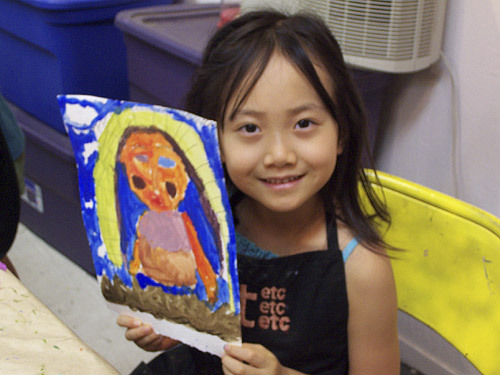 After they finished their master pieces each of the girls posed with Sophie's painting. 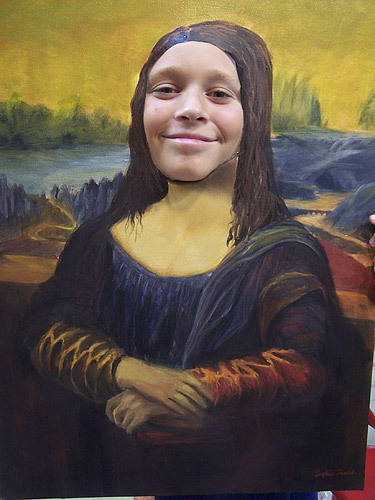 Mona Liza never looked so good!